Drills, strategies and lessons are taught by Gary Marshall. There isn’t any registration info as a weekly email is sent out for this. Contact Gary to be put on his email distribution list. 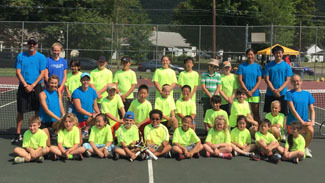 Under the direction of Corning Hawks Varsity Coach, Tim Ball, and the support of GETA (Greater Elmira Tennis Association), we will be offering summer youth tennis camps. 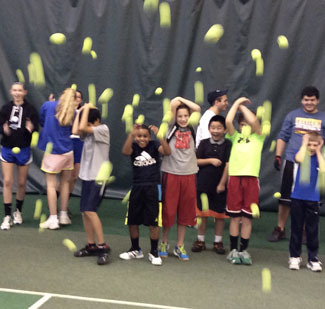 This scholarship offers local youth an introductory learning experience with the game of tennis. John Cadwallader was a local resident, entrepreneur, antique car enthusiast and, above all, a life-long tennis player. John began playing tennis in his youth and continued throughout his life. At every turn, the game of tennis served as way to meet people, deepen friendships, exercise, compete, teach and learn. Each of these was important in John’s life, and he was never shy to share his love of the game and what it meant to him. 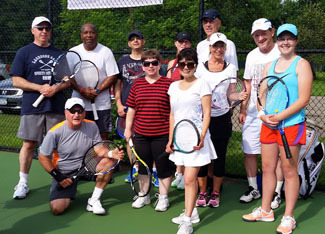 Each year, John enrolled his five local grandchildren in the GETA Summer Tennis Lesson offering. It was with joy that he passed his love of the game and all its lessons on to his family. In that spirit, John’s son Fell, his wife Blair, and their family funds the John Cadwallader Memorial Summer Tennis Lesson Scholarship. 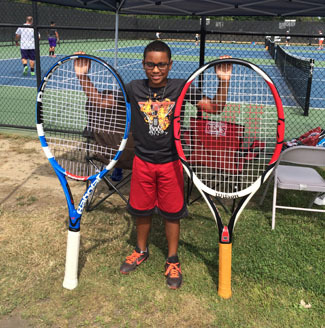 The scholarship’s mission is to offer the opportunity for local youth to learn the game of tennis, as part of GETA’s summer lessons, and to receive a GETA membership for one year. Scholarship recipients will be selected annually by the GETA scholarship committee. All young people interested in the sport of tennis ages 8-17 are eligible to apply. A short essay describing “What I like about tennis” must be submitted. Scholarship funds will be used to pay the tennis instructors. GETA will provide all tennis supplies needed. GETA will work with the tennis court facilities manager to ensure all permits, insurance and court access are approved and on hand.